Greetings from BankexamsToday team for those candidates who have qualified for PGCBF in Baroda Manipal school of Banking. 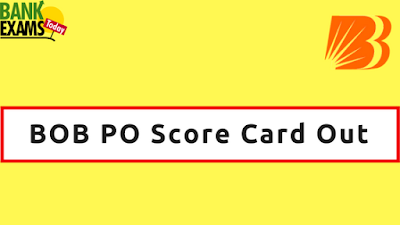 Bank of Baroda has released Score Card of PGCBF (Post Graduate certification in Banking and Finance) Course in Manipal school of Banking. Candidates those who have applied for PGCBF can go through the below links to know further details.